The law firm Slater and Gordon recently compiled a report after surveying 2,098 Brits, showing that 48% of them were not concerned about the health risks when carrying out home improvements. Slater and Gordon, which deals with asbestos claims, has warned that many DIY tasks, such as drilling, sawing, painting and sanding, could expose people to deadly asbestos. Asbestos has less chance of causing mesothelioma or asbestosis when the fibres are left undisturbed, but nudging them or creating holes in walls where asbestos might be present can release microscopic fibres that could be inhaled and harboured in people’s lungs for years. 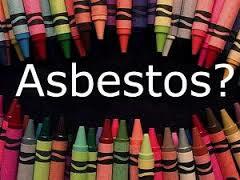 Although the use of asbestos in the UK was banned in 1999 on account of the substance’s harmful nature, many schools, council buildings and residential properties may still contain the material within their walls. Asbestos was used liberally throughout the country in construction for insulation and as a means of deterring fire, which is why the risk of it still existing in homes is so high. Despite the risks, many people do not consider the presence of asbestos in their homes when performing DIY tasks that may release dangerous fibres into the air. The research carried out by Slater and Gordon found that 73% of the survey’s participants were living in houses that were 30 years or more old, but that only 6% had carried out an asbestos survey before doing their work. One simple mistake when putting up a shelf or even drilling in a screw could lead to mesothelioma years down the line, which remains a terminal form of cancer. This doesn’t need to be the case, however. Homeowners can still perform the home renovations that they wish to make, but before they do so, they are advised to make sure their property is surveyed properly for the presence of asbestos. Trident Asbestos Solutions can perform comprehensive surveying for your property, offer site audits for asbestos removal contractors and help make the asbestos removal process much simpler. To learn more about our services or book a quote, please get in touch with us today. English councils have paid over £10 million in compensation to those exposed to deadly asbestos in schools over the last decade. BBC News analysed figures relating to 32 councils that have settled claims from former pupils, teachers and staff in recent years. According to the Government, £23 billion will be invested to improve school buildings, but campaigners say that pupils remain at risk of contracting asbestos-related illnesses. Information gathered from Freedom of Information requests showed which areas had paid out the most in asbestos-related claims between 2006 and 2016. East Sussex County Council topped the list, with nearly £1.3 million paid to claimants in relation to asbestos-related illnesses – more than 10% of the total paid across the UK. Kent and Devon have the next highest payouts of all the regions, paying out over £700,000 each. The £10 million figure does not take into account the councils that have refused to disclose how many asbestos-related claims they have settled, which could mean that much more has been spent in compensation. Before the use of asbestos in building materials was banned in 1999, many buildings still used asbestos for insulation and fire-proofing. It is thought that almost all school buildings built before 2000 are likely to contain some form of the lethal substance. Rachel Reeves MP, chair of the Asbestos in Schools group, commented: “This is a ticking time bomb because very few teachers and parents know that there is asbestos in schools. The very least we should do is make sure that this information is available to them”. Asbestos may be safe when left alone, but teachers and students are often unaware of the extent of the fatal fibres in their own schools, and may be at risk if the substance has been disturbed previously. Much the same can be said of a house, business or even garage, which is why it is so important to take appropriate measures to minimise the risk in any property for which you have responsibility. Contact Trident Asbestos Solutions today for a comprehensive check of your property, as well as to learn about our safe and cost-effective asbestos removal services.